To date, each robot constructed needs to be programmed, or go through its own learning process from scratch. New robots are like newborn babies who need the humans creating them to teach them everything, or learn gradually themselves. However, this could all change. Thanks to ROBOEARTH, robots will soon be able to share knowledge with their peers almost instantly instead of 'living' in a bubble. Many of us probably picture robots as roughly human-shaped or perhaps as little more than mobile computers. But one EU-funded project is taking inspiration from the smart, efficient strategies of plants in order to develop a new generation of robots and ICT technologies, such as sensing or distributed adaptive intelligence. 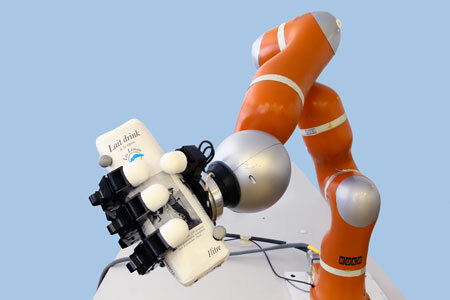 Robot developed by EPFL researchers is capable of reacting on the spot and grasping objects with complex shapes and trajectories in less than five-hundredths of a second. 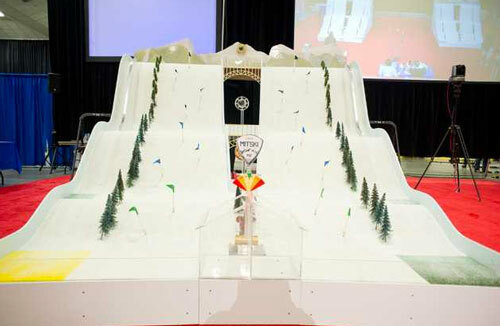 Simulated ski run challenges mechanical engineering students to produce a wide array of robots. 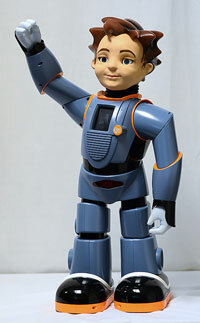 Researchers launch multi-year project to develop robots that can make moral decisions. 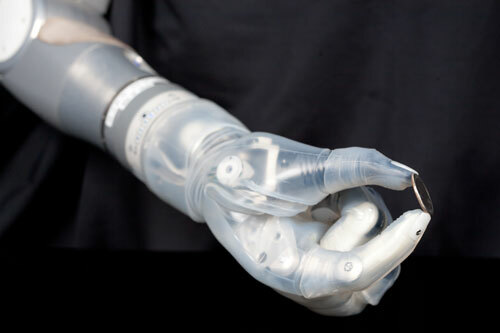 To date, no robotics scientist has been able to create ultra-flexible tactile skin. 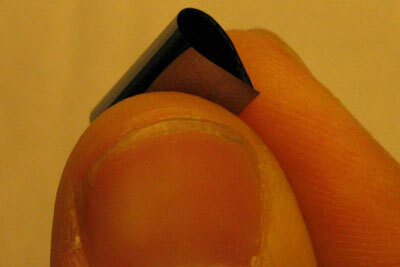 Either the sensor has been too big or the electronics not sufficiently flexible. Now, however, researchers believe they have found a way of incorporating electronics and sensors on bendable silicon-based surfaces that will be 50 micrometers thick. The fund will invest in promising auto tech and local services companies in collaboration with HERE, a Nokia company, to grow the ecosystem around HERE's mapping and location products and services. Scientists are working with a team of autism experts and robotics designers at the company Robokind to create Robots4Autism. This program uses an artificially intelligent robot with a full range of facial expressions to interact with children who have ASD. Set to be launched on May 6th on the edX platform, the new Massive Open Online Course (MOOC) of the Technische Universität München (TUM) will teach participants how to navigate these convenient aircraft. 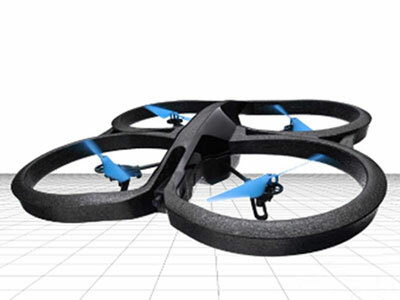 The 8-week 'Autonomous Navigation for Flying Robots' course consists of weekly presentations of learning videos, while participants themselves can complete interactive practice exercises with a quadrotor. Older adults' fears that companion robots will negatively affect young people may create design challenges for developers hoping to build robots for older users. 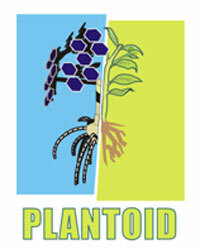 Biotechnology company Sanaria Inc.aims to raise at least $250,000 in a crowdfunding campaign. Funds will be dedicated to the development of SporoBot, a robot that will dissect mosquito salivary glands. By replacing manual microdissection of mosquito salivary glands, Sporobot will automate a key step in the manufacturing process of Sanaria PfSPZ Vaccine against malaria. 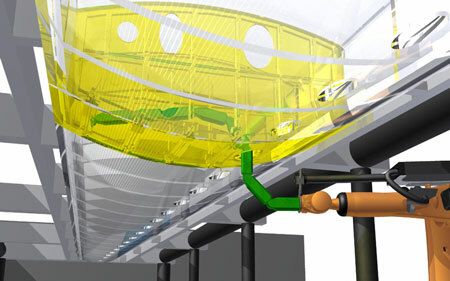 Even today, aircraft wings are still assembled manually; but this process could soon be automated thanks to a novel snake-like robot capable of tightening bolts in even the most difficult-to-access cavities of the wing structure. Stanford scientists have developed faster, more energy-efficient microchips based on the human brain - 9,000 times faster and using significantly less power than a typical PC. This offers greater possibilities for advances in robotics and a new way of understanding the brain. EVOLVINGROBOT is a European research project which has developed an artificial intelligence system to control tiny robots, enabling them to replicate the 'swarming' behaviour seen in insects such as bees or ants, or even in birds and fish. It is an innovation which could have far-reaching implications for a range of human activities, from medical to industrial, military and disaster relief.